Here it's all about health and nutrition for kids - and for parents too! 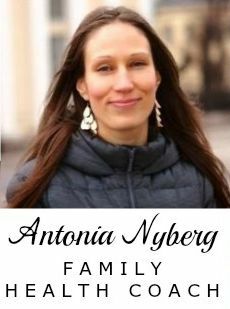 I'm Antonia Nyberg, certified health coach, specialized in nutrition and the well-being of babies and children. I believe that taking good care of our children and feeding them well is the most important factor in making sure that this world will be going into the right direction. 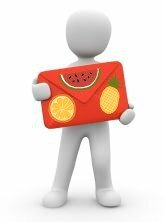 There is a lot of kid's nutrition information on this site, which will make things easier for you. After all, you do need to know a lot about this subject yourself - so you can teach your children about it. But if they already know what's healthy and what's not healthy, they will make better choices outside of home too, and be proud of it. That's why it's so important to make nutrition a part of the discussion at home. Why certain foods like sugary drinks, candy and frozen dinners might not be what their bodies really need in order to grow and stay healthy. Tell them that food like that is not in it's natural state, so their tummy doesn't know what to do with it. But if they eat vegetables or fruit for example, then the body is happy! Because this is food that it recognizes - so it immediately knows what to do with it. A big part of feeling well comes from eating well. We are definitely affected by what we put into our bodies. 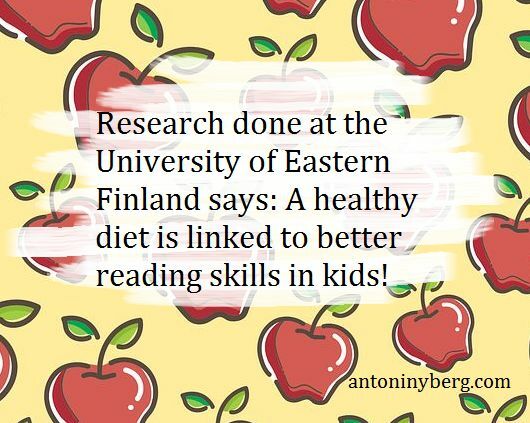 And that is why nutrition for kids is an important topic. 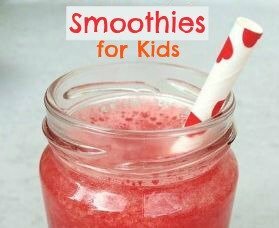 The nutrition tips for children page on this site is for your kids, there they can get familiar with the world of healthy eating. But as a mom, how do I know what a healthy diet for kids really looks like? True, it's not always easy as a parent to make wise choices when it comes to food. You are in the supermarket on a busy afternoon and wonder what you should buy. And you can't always tell if one product is better than another. 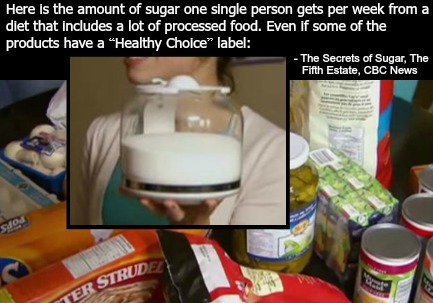 For example how much sugar there is in something is often hard to figure out. 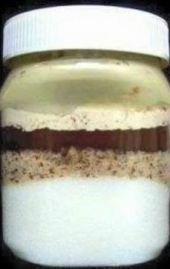 And white sugar is really something to stay away from. And on top of it all, teaching good habits in general can be hard. 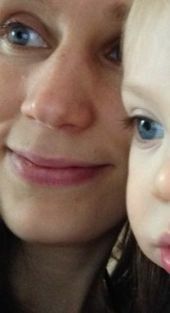 Life is busy and sometimes as parents, there is hardly even enough time to stop and take a few deep breaths! So how do we raise healthy kids? Well, first learn all you can about healthy eating, so you know what to buy and what to cook for your family. Sometimes, the nutrition information that's out there can be misleading, because of large corporations who fund studies and other factors. But that's why this nutrition for kids website is here for you! Please don't hesitate to send me your questions. You know, I'm a big fan of teaching by example. But it can be a challenge if there are already quite a few bad habits in the family and many older siblings. It takes persistence and patience to untangle a situation and to get everybody to understand why something else is better. There is also pressure from the not-always-so-healthy environment we live in. 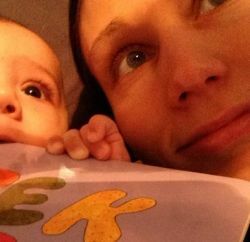 A super cute baby chewing on a book we were reading! Good nutrition for kids continues on the next page. By the way, there are quite a few healthy recipes for kids here. And also, if you have FB, please click the like button below. Thanks! !